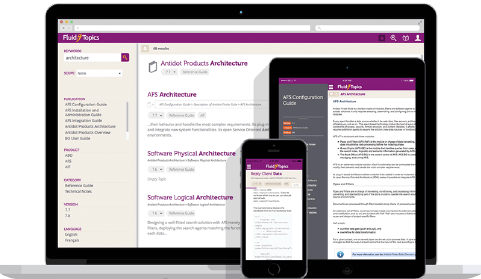 Antidot delivers software solutions that solve the challenge of efficient and agile knowledge spreading. The Antidot Content Delivery Platform creates a repository of smart information and acts as a secure single point of delivery. Fluid Topics is the most advanced CDP for product information. Transform customer support, revamp field maintenance, and boost client satisfaction. with a rich and intuitive portal. Antidot is at the forefront of innovation in content technologies. Search and enrichment engines turn massive amounts of raw content into actionable information, reinventing the way people and applications access and use that content.